Comb jellies such as this Pleurobrachia pileus are common in coastal plankton. They are exclusively carnivorous and prey on smaller animal plankton. Clearly visible here are the eight comb-like rows of cilia (hair-like structures) that propel the animal through the water. 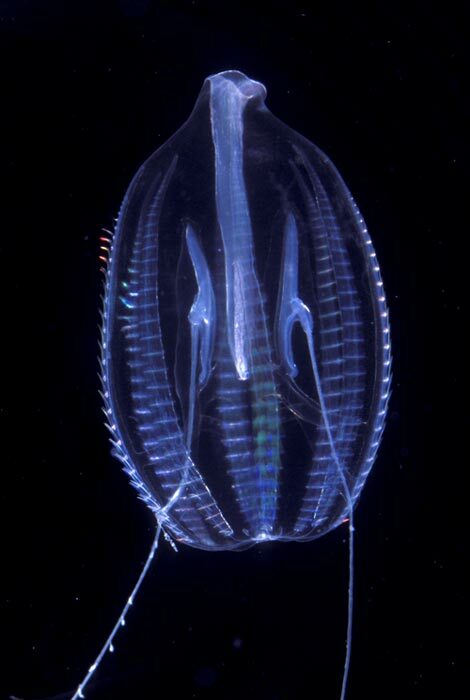 Most comb jellies are bioluminescent and will produce bright flashes of light if disturbed.